Lunsford Real Estate & Property Mangement is dedicated to providing the highest level of Real Estate service. Whether you’re buying, selling, renting, or listing a property for rent, you’ve come to the right place. Established in February of 1980, Lunsford Real Estate and Property Management is the longest-running real estate service on the West End. Nearly four decades of experience gives us an intimate knowledge of the area and local market. These deep roots, combined with our team’s dedication to excellence and to the community, offer our clients a unique advantage. 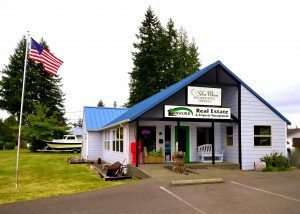 The Olympic Peninsula is a great place to call home. Under the shadow of the Olympic Mountains, ancient old-growth forests criss-crossed by wild rivers running to the untamed Pacific coast offer a perfect backdrop for work, play, and life. Whether you are a long-time resident, or new to the Forks area, we’d love to show you around. We also offer worry-free full-service property management, and if you are looking to rent out your home, or to rent a home, we’ve got you covered.